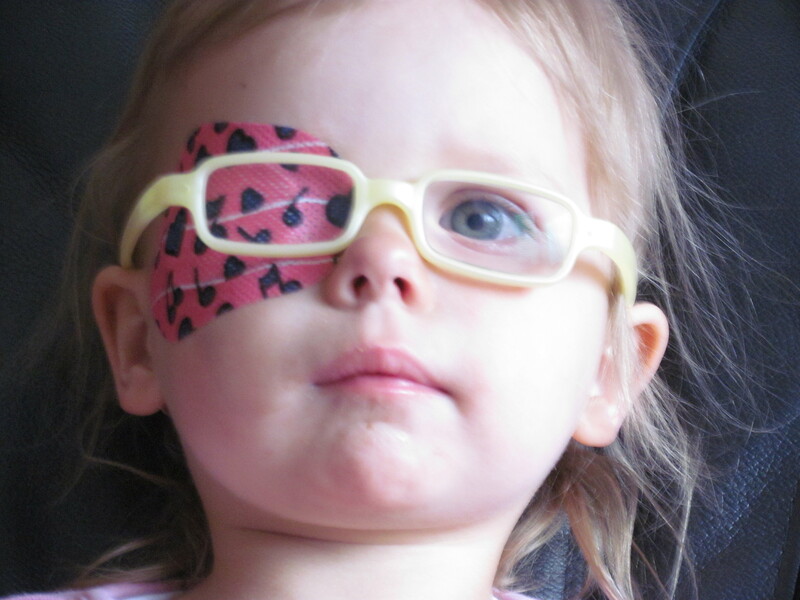 Remember how my two-year-old daughter was diagnosed with amblyopia and got glasses this past Spring? Remember how I made her a book to help her understand? I’m happy to report than her vision has improved from only 20/80 to nearly 20/30 in just three short months! 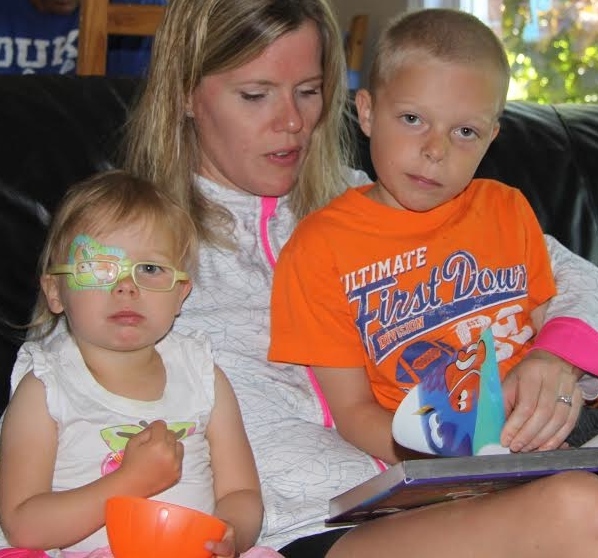 And her 3 hrs/day of eye-patching has been a non-issue too; from fishing to golfing to going for walks, if it happens first thing in the morning, she does it with an eye patch and she doesn’t complain. She’s a tough kid whose resiliency continues to surprise me. Thank you for your messages of support, your questions of concern, and your genuine interest in her well-being. But here we go again. This time it’s my five-year-old son. 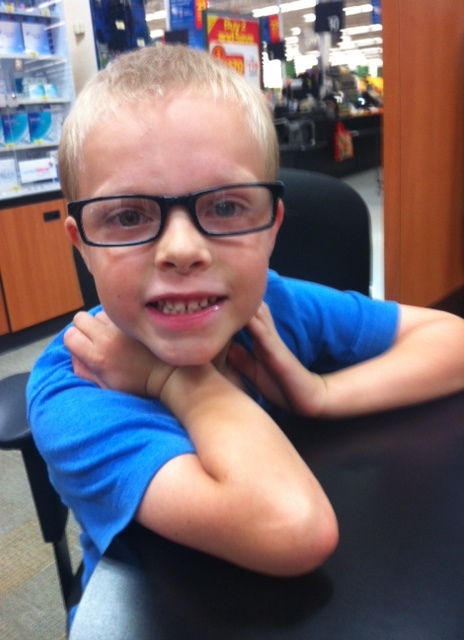 We were warned back in April that his vision showed some concerns and he may require glasses in the future. So here we are. But no patching for him, much to his chagrin. “Please mom, can I wear a patch too?” he says. Sorry buddy, the patches are just for your sister. But the Ninja Turtles glasses? They’re all yours. And you get your own book too. 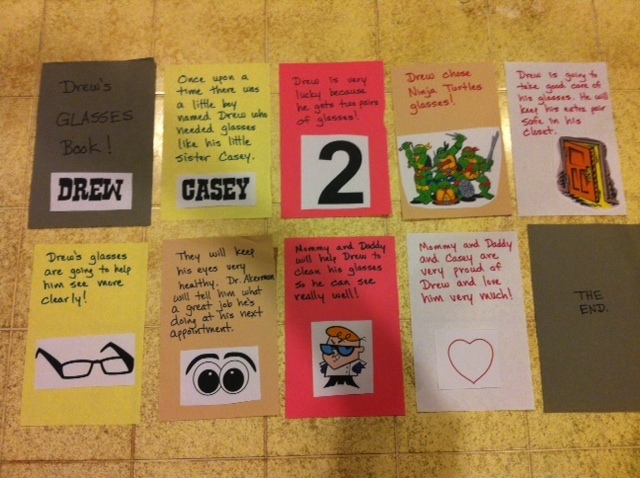 This entry was posted in Parenthood and tagged crafts, glasses, kids. Bookmark the permalink. What great Mom you are!! So sensitive your children’s needs. Keep posting the blogs. Love them!! Wow Sandy, what a compliment! Thank you!